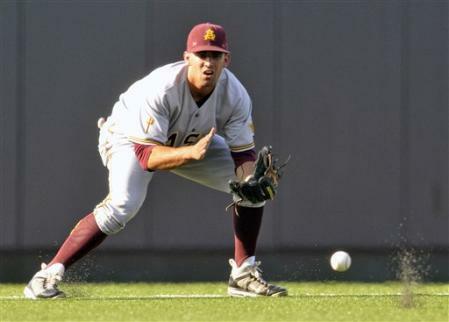 As the Super Regionals head toward a conclusion and the Omaha field is set, it seems appropriate to introduce to our readers to Arizona State shortstop Deven Marrero, who is likely to land in the first-round and perhaps even within the first 10 picks. 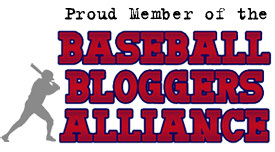 Yet, he is not even the top shortstop in his own conference that will be eligible for the 2012 draft. That honor belongs to Stanford’s Kenny Diekroeger. Marrero profiles as an above-average defender at short with a plus arm and a plus glove. He has outstanding instincts for the position and should have no problem staying there as a professional. At the plate, he fails to generate tremendous bat speed in large part due to a lack of lower body action. He hits against a pretty quiet front, though, and keeps his hands inside well enough to be a 50 to 55 hit tool player. He will never hit many bombs in the pros, but he runs well enough to at least have an isolated power. As a freshman, Marrero torched to the PAC-10 with a slash line of .397/.442/.628 with six bombs. With the new bat regulations firmly in place and functioning to rid the college game of any and all offense, Marrero fell off considerably to a line of .313/.351/.436 prior to Saturday’s matchup in Austin. Stats in college are virtually meaningless in terms of evaluating professional prospects, except in the PAC-10, SEC, ACC, and Big XII. ASU plays such a tough schedule against terrific pitching, however, that the numbers do somewhat translate. So this is a discouraging trend from Marrero. Nevertheless, his glove is his ticket to the Show and not his bat. His bat should keep him afloat and in the lineup enough for his glove to impress.